Who said toothpaste had to be boring? 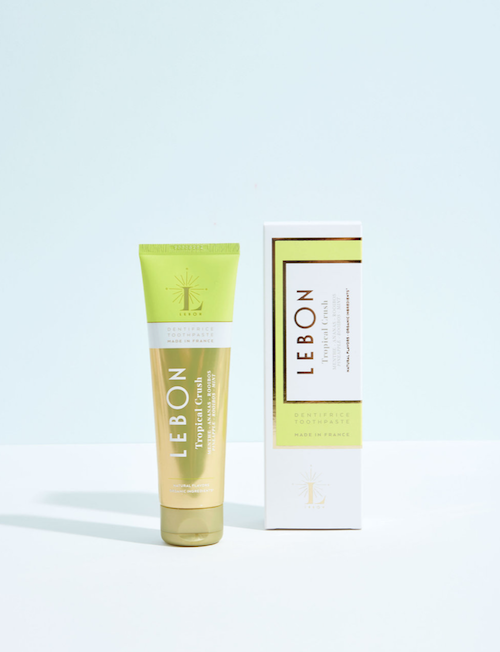 The two French founders of LEBON, Stephanie, an art historian and professional photographer and her husband Richard, a pharmacist MD and dermatologist - cosmetics certified, are both sea and nature lovers. TheChicGeek says, “I’ve never seen a more glamourous toothpaste than this. The glitzy packaging and shiny tube gives you that Caribbean holiday feel, especially the pineapple one that I tried. Toothpastes, as grooming products, are becoming quite a thing: I love Buly and their interesting flavours and Beverly Hills Formula Black Pearl Toothpaste is a firm favourite. There are 6 LEBON flavours in total. I opted for the pineapple mixed with rooibos and mint, so it saved me rinsing my mouth out with Malibu every morning - jokes. I didn’t realise it was organic until I looked on the website, as it doesn’t scream it on the packaging, and I’ve never really thought about organic toothpaste before. It turns out the mouth is highly porous and any chemicals in it can quickly become absorbed by the body so probably best to avoid any nasties. It is missing fluoride, though, so I would ask your dentist whether this is affecting your teeth the next time you see them. 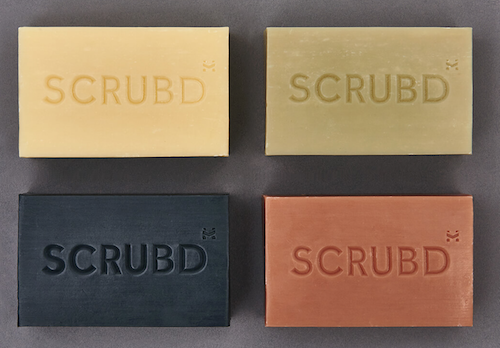 TheChicGeek says, “Based around organic soaps, SCRUBD is a new British grooming brand. Founded by entrepreneur, Mark Helvadjian, his previous company was ShippingEasy, an online fulfilment platform, after he couldn’t find premium all-natural grooming products created specifically for men. Two years ago the journey began and, now, launches with 9 products - 4 of which are soaps - exclusively at Harvey Nichols. I like the branding, it’s simple yet distinctive. The soaps are man-sized and will last a decent amount of time. I can’t see in the blurb how the ‘Hand-crafted all-natural, organic triple-milled soap block’ has been made specifically for men’s skin? I must be missing something. I don’t usually use soap as it dries out the skin. This has an element of dryness, but it isn’t too bad. I like the all-natural, organic idea and the smell is subtle - it could actually be stronger. There’s a novelty to using soap, when you don’t usually, especially in certain areas! These big sizes will be more cost effective than any body wash. They are fairly premium for a soap - £17 - but it is “hand-crafted” in England and organic. The unique gel-to-liquid structure “bursts” in the palm of your hand. 30-40% of the skin’s energy is used to pump hydration to the skin, so, if you can energise skin on a cellular level, you can optimise its hydration. 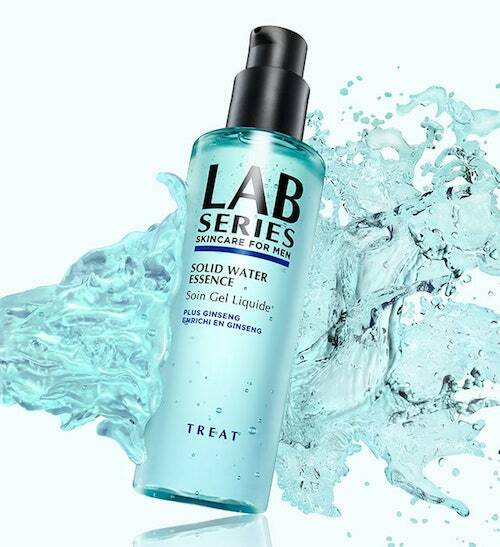 "Solid Water Essence" contains energising ginseng and invigorating caffeine, which are proven to help energise skin cells. And they get delivered via bamboo-infused micro-droplets for rapid absorption. Plus, it’s packed with antioxidants to fight free radicals and help prevent visible signs of ageing. TheChicGeek says, “Visually, this looks like a Capri Sun at the back of the fridge during a heatwave. Talk about thirst quenching, everything about this says “moisture”. So, you expect a tall glass of water for your skin. To be completely honest, I didn’t notice any difference. This is under their “Treat” category and you’re suppose to put it under your moisturiser twice a day as an extra pick-me-up or layer. TheChicGeek says, “The first men’s specific range from Dr Perricone, the 3-part CBx range contains a face wash, post-shave product and a moisturiser. The "CBx" part is a reference to Phytocannabinoids. Phytocannabinoids are non-psychoactive cannabinoids derived from the cannabis sativa plant - but have no ‘recreational’ use. Perricone MD’s phytocannabinoids are extracted from the mature stalk of the fiber-type hemp plant. They are valued for their powerful antioxidant properties and have been used to address a variety conditions such as chronic pain and sleeplessness, as well as skin conditions such as acne. These are some of the best products I’ve tried this year. They all feel like quality, while not being overly rich which is sometimes the problem I've had with Perricone's products in the past. They are in the “premium” side of pricing, but these feel like they have the science behind them to make them worth it. The phytocannabinoids help stressed, excess sebum prone skin feel soothed, healthy and refreshed. 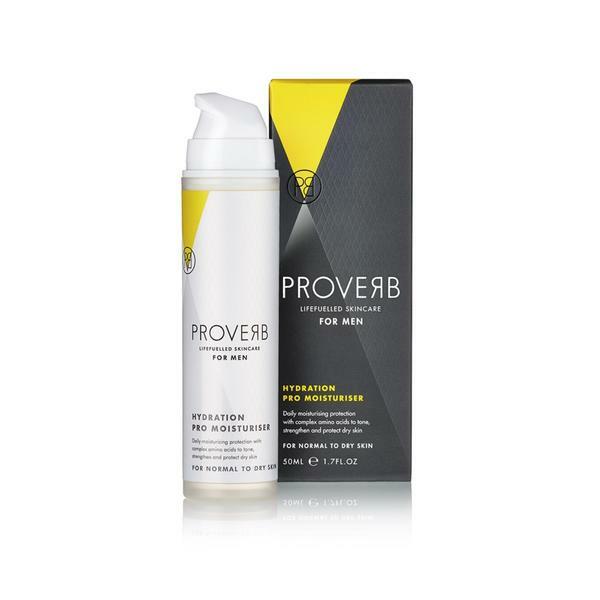 These benefits are especially important for men’s skin which tends to be dry and irritated as a result of shaving or frequent exposure to the elements. The collection features a fresh woody fragrance with a subtle top note of fresh hemp. You could easily skip the post-shave treatment and just get the face wash and moisturiser if you had to make a choice. This stuff is goooood." TheChicGeek says, “Let’s just say I’ve waited so long to try this trimmer I’ve ended up looking like a ginger Brian Blessed! First complaint, why haven’t they put the “iShaper” name on the box? I’m never going to remember “Panasonic ER-GD60” when searching. I’ll be saying, or typing, “it’s like a big silver mascara type wand thingy”, give me a nice name, people, and all over it. Secondly, the man on the box. I don’t want to look like the man on the box. Again, grooming companies always use those slightly too stylised black-and-white-classically-lit-barber-shop-haircut-inspo. pictures on their boxes. I want to look natural, not overly groomed. I would say not to put any man on the box, just leave the gadget on there, with the name. Easy. The reason I wanted to try this was because it looks different, it looks like it should feel substantial and I wanted to like it. The worst thing about getting a new gadget is all the little bits and the set-up part. This seemed pretty simple. The only thing I hadn’t seen before was the oil for the blades. You simply just add a couple of drops to the blades and then run it for a few seconds. 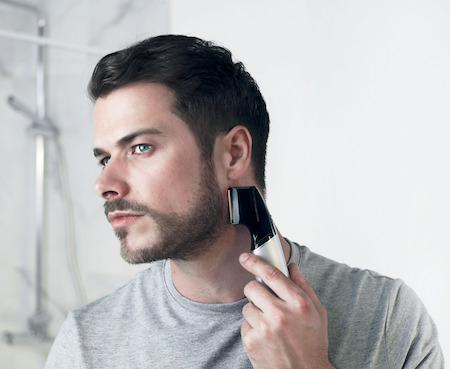 You can trim and dry shave with this and you can run it under the tap to clean it. There is charge time of 1hour for 50-minute usage and can be used with a cord or cordless. I like the nice pencil case like travel pouch which makes it easier to pack into your luggage than those large rigid travel cases. 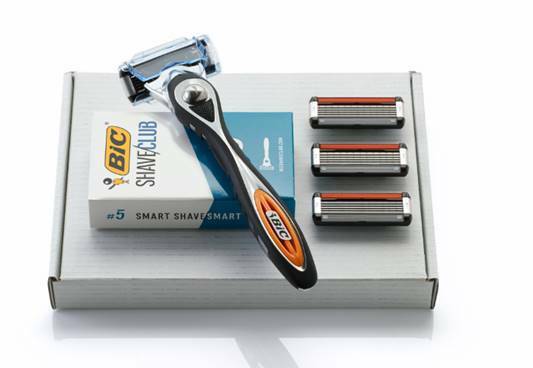 There are 3 ways to use it: without any heads as a shaver - this is pretty simple, but I would suggest, because it is a thin line of blades, you could easily miss bits if in a rush. A trimmer - this is the best attachment I’ve seen on one of these. It goes on really sturdy, unlike many of those flimsy comb type attachments, and you simply rotate to the correct length. You’re very aware of what you are doing and what length you are on. It looks like an optician’s instrument or a mini axe and I like it. 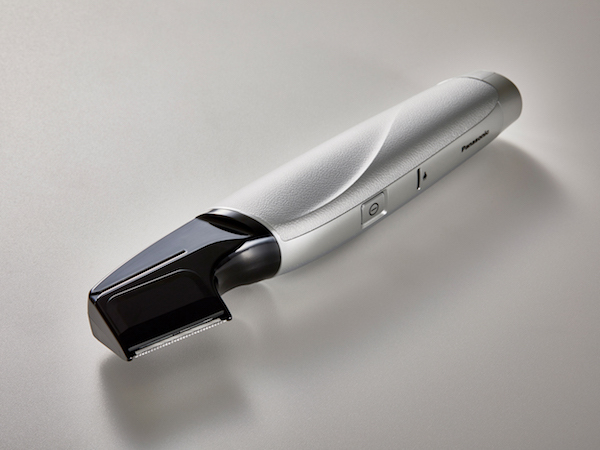 Then the final option is another head attachment that reduces the size of the blade to give you more control for styling and “design”. The idea of “design” in beards or facial hair always makes me nervous and I have a worry you’ll end up looking like Adrien Brody - which isn’t a good thing btw. When you get the feel of this, you’ll probably not use this again. 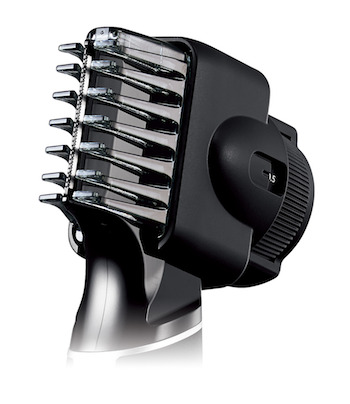 Below - The detachable trimming head with rotating length.